With the arrival of a Nor’easter early last week, the flora and fauna of the area effectively barred their doors in preparation for a cold and wet winter to lay ahead. With the exception of fleeting glimpses of Pileated Woodpeckers, Juncos and Cardinals, I saw nothing more in an area teeming with life in the summer months. 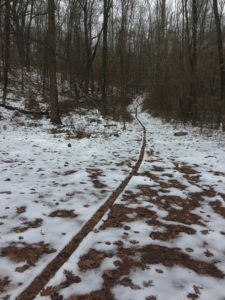 The rattlesnakes of the area, some of the densest population in the state of NJ have all migrated over the ridge to their den nested in the crags of the humble Ramapo Mountains. 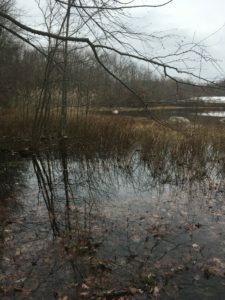 The deer, wary of the ongoing hunting season, have retreated into the impenetrable marshes thick with vegetation, as animals such as bear, raccoon, woodchuck and possum have entered stages of dormancy or hibernation. This is the time that all the mentioned have planned for for months on end. Winter is here and for most the best way to cope is to hunker down. A season of heavy rains has saturated the grounds, and letting plants grow more than usual. This year is a boom for small rodents, with heavy amounts of rabbit, chipmunk, squirrel and woodchuck making their presence known. Predators such as red foxes, grey foxes, coyote and bobcat all take advantage of the good times, though all are seldom seen in person. 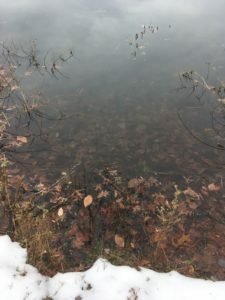 In a hardwood forest, no trees but some ghostly beeches retain their leaves, with the remnants of others coating the pond’s surface with detritus. These are the hard times, only to worsen in the coming months. In comparison to my Vermont phenology site, my hometown site was very much different, but has roots in the same ideas. Both locations are steeped in agrarian pasts, Brushwood an area for cattle grazing with the onset of the 20th century, virtually cleared with not a tree in sight just a century ago. 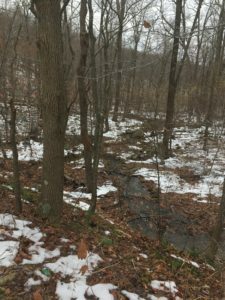 Much is the same at Centennial Woods, old farmland with a personally unknown land use history. Centennial, like Brushwood was deforested in the early 20th century and has undergone a remarkable succession and return of the hardwood forest. 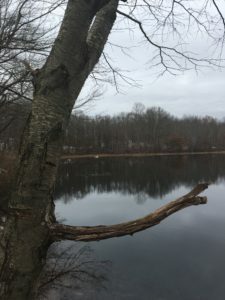 In NJ, the reclamation of the woods was undertaken by black birch, cherry and oak species, whereas the Centennial site was first taken by the lofty white pine and followed by humble beeches, just starting to stake their claim in the under-story. Much like Centennial, the woods surrounding Brushwood have their roots in secondary succession with fagus grandifolia. As said in the prior passage, their ghostly leaves are the only remnants of a lively summer. 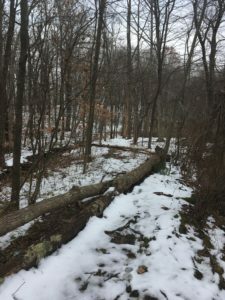 Though bird populations in Centennial Woods may appear more abundant, one may say that they are only concentrated to a further degree than in NJ. An island of trees in a surrounding suburban landscape, Centennial provides refuge for birds as they sustain themselves in the Burlington area. 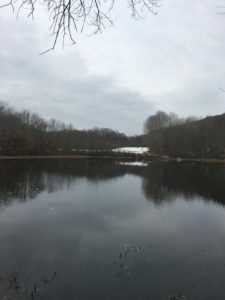 Brushwood Pond is enveloped by over 12,000 acres of undeveloped forest land, so birds and other fauna, though abundant, can be hard to find as they are spread out among the different niches of the area. 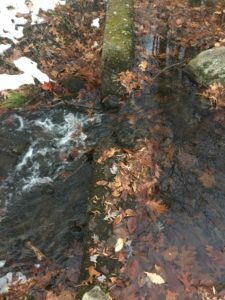 Though Brushwood may represent one area with a pond and clearing, the remainder of the area contains hardwood forest, few stands of white pine and spruce, numerous kettle hole swamps, and clearings the product of a pipeline. Water usually teeming with fish, amphibians and plants now desolate.